Pepper grinders are used to create freshly ground pepper for use in cooking and seasoning food. Pepper grinders work by the movement of two metal wheels that turn to grind the peppercorns that pass through the wheels. 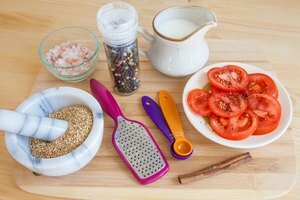 Many cooks and chefs prefer to use a pepper grinder to make fresh pepper when they are cooking because they believe that freshly ground pepper has a superior taste. 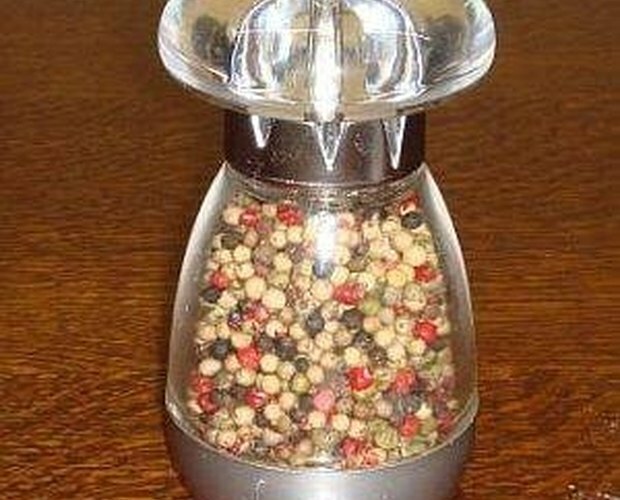 Fill the pepper grinder with fresh peppercorns. Pepper grinders are typically constructed with the grinding mechanism at the top and the container that holds the peppercorns within the grinder at the bottom. Find the part that unscrews to enable the peppercorn container to be opened so that the peppercorns can be poured into the pepper grinder. Unscrew this, open the grinder and fill the container to the top with peppercorns. Replace the lid tightly. Hold the pepper grinder in one hand several inches above the food that you wish to season. Twist the pepper grinder with one hand while holding it with the other hand to grind the peppercorns. As you are twisting the pepper grinder, the ground pepper will fall from the bottom of the pepper grinder onto the food below. 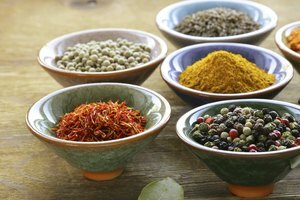 Stop twisting when you are satisfied with the amount of pepper you have ground. Shake the pepper grinder several times to remove any excess pepper from the bottom of the grinder. Place the pepper grinder nearby for easy access. 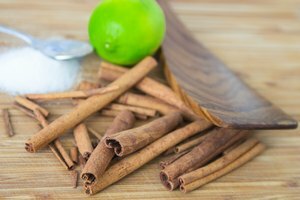 What Is the Difference Between Seasoning & Flavoring?